All music titles of this mantra-download internet-shop are offered with the approval of the legal owners of the music, or the copyright holders. After your download of music files in MP3 format, you can burn the files on a CD, or transfer them to a portable music player. Upon receiving your payment, the selected MP3 files are made available for download no later than within a maximum of three working days, yet generally immediately after receiving your payment. Once the download is available, you can download the files within a period of 70 days. Purchased and paid files cannot be returned due to legal regulations within the EU for consumer contracts. Should the file not be in a good condition, you can download it again. - You can download and duplicate the music for your own private use, or the private use of members of your own household. 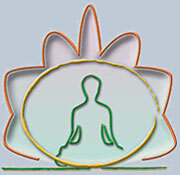 - You can copy the music onto a CD or a music player and play them privately or within Yoga lessons or therapy sessions. - You are not allowed to redirect the music to third people, or people who do not belong to your household, or transmit the music onto any other computer, music player or storage of any kind other than your own private one. - You are not allowed to give away any copy of the music, disregarding which media is being used. - You are not allowed to rent, exchange or sell the music which you have purchased. - You are not allowed to display, demonstrate or perform the music in public, other than for your own teaching purposes and your own Yoga- or therapy sessions.